Your Vision is Our Mission. 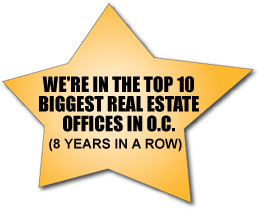 The most important thing to Superior Real Estate Group is to provide the highest quality real estate services to our customers and clients in Orange County. Feel free to contact us. Our agents are professionally trained to give you honest feedback based on facts and financial analysis so that you can make the best decision for you and your family.